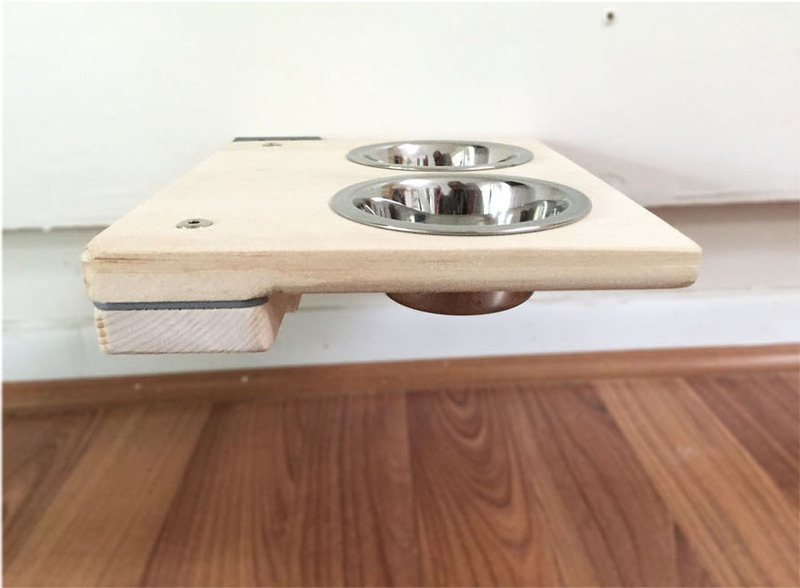 The Cat Mod – Feeder is a wonderful solution for households needing to keep cat food away from dogs or small children. The dishes are easy to remove for washing or to fill the bowls with food. 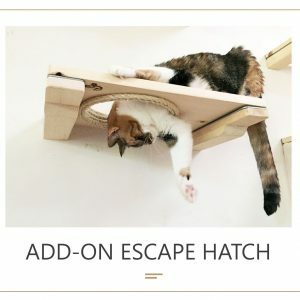 Would you like to add a Planter or fun Escape Hatch onto your wall-mounted setup? 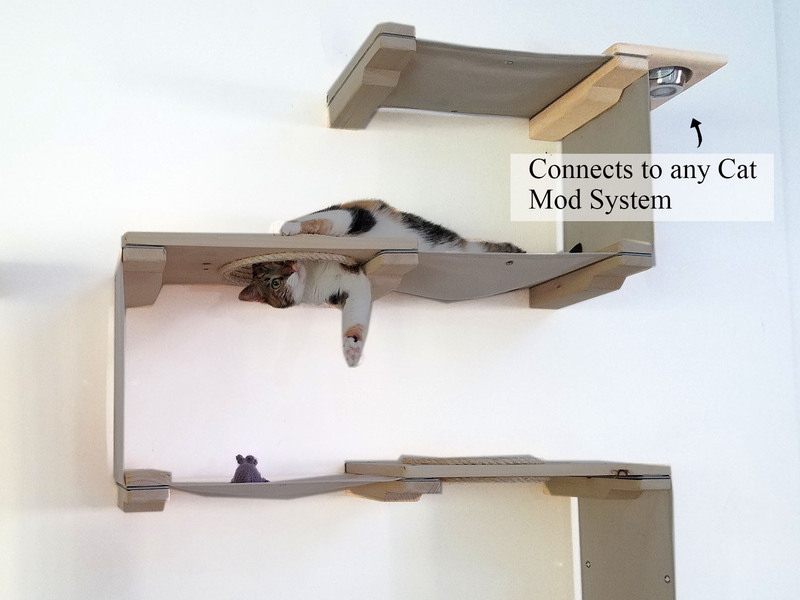 Check out our Cat Mod Add-ons. It comes with two half-pint stainless steel dishes and one mounting plank in your choice of Onyx, English Chestnut or Unfinished wood. All Feeders will come with Nickel brackets. 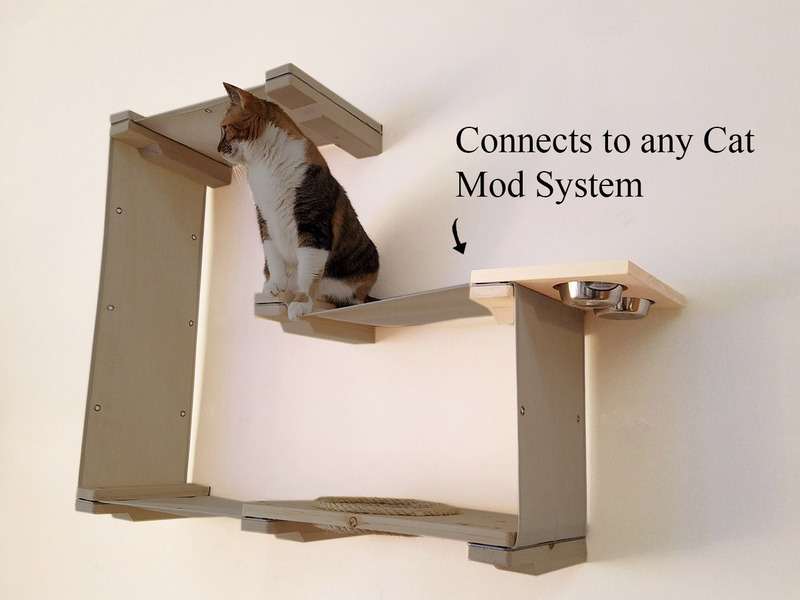 This can be connected onto any of our Cat Mod packages or added as a standalone addition. Get creative by mixing our add-on items and sets! **There are other pieces of furniture pictured with the feeder in this listing. Please note that all of the grayed out furniture does not come with the feeder. 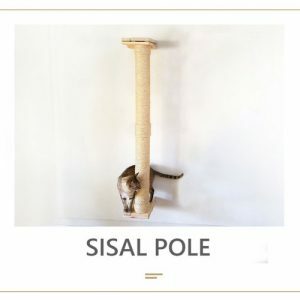 It’s only in the listing to show that it can be connected to any Cat Mod complex. 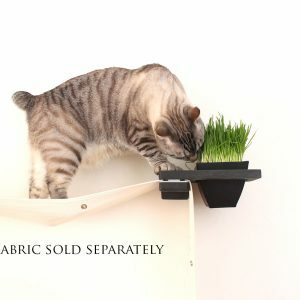 Our kitty absolutely loves it! "We have had our Cat Mod up for a few weeks now and our kitty absolutely loves it! It took her a little bit to get adapted to it, but she loves the ability to climb and relax all in one place. 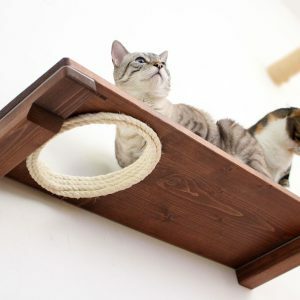 The rope around the climbing hole is her favorite scratching spot. 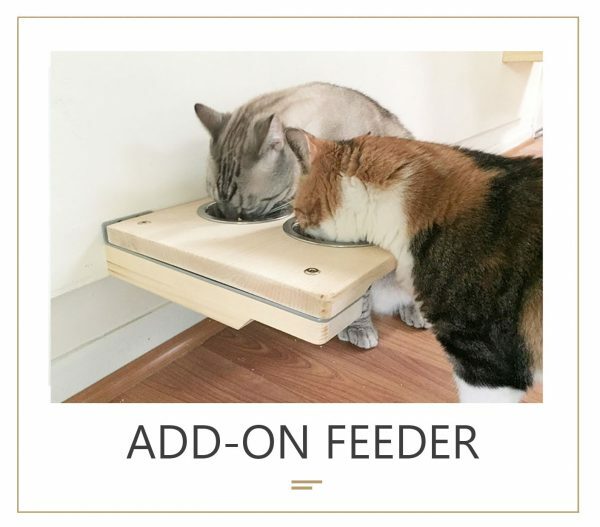 We also added the feeder to our order and it is a great addition. It allows us to keep her food and water off of the ground. We have two large dogs so having the piece of mind that she and her food/water are out of reach is great."